In this 90-minute webinar, representative(s) from the Sesame Street Workshop will address an overview of developmental milestones for children as well as strategies to help families enrich and expand their child’s life such as: the IDEA program, parental rights, the special needs evaluation process. This event is hosted by the Family Development-Early Intervention concentration area of the Military Families Learning Network. 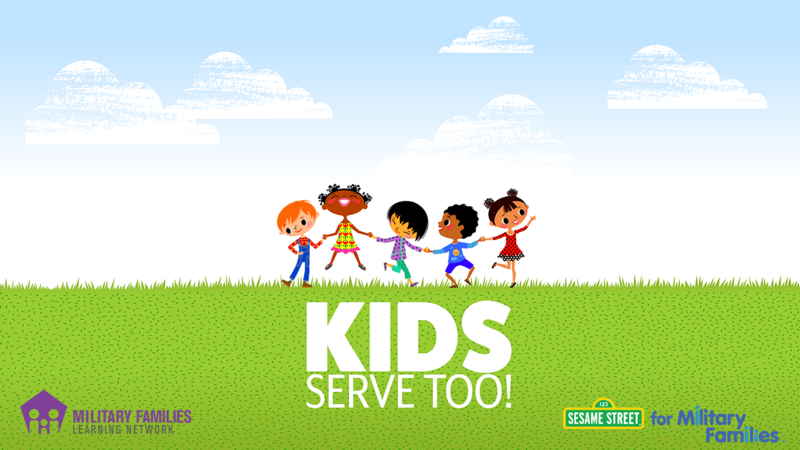 Kids Serve Too! is a webinar series designed to support service providers and education professionals who work with military children and families. This Sesame Street for Military Families and Military Families Learning Network collaborative series invites you to explore resources and strategies related to community violence, military relocation, military caregiving, and young children with special needs.